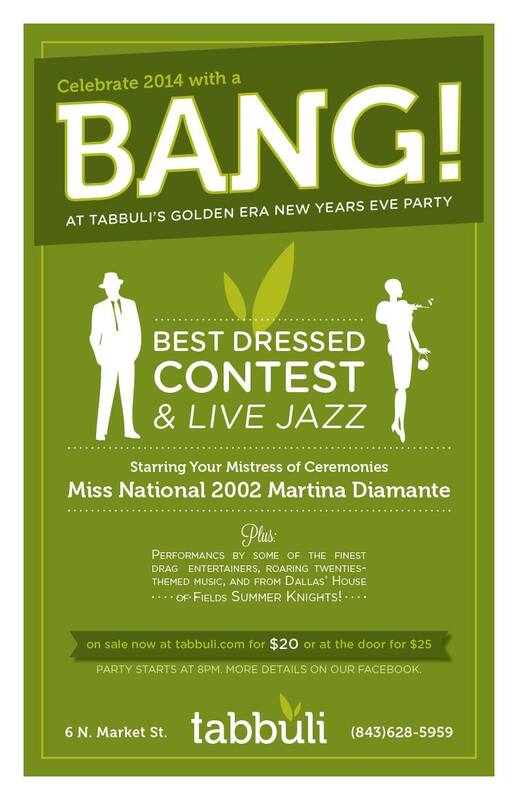 Come help us bring back the roaring 20’s at Tabbuli for NYE. Dress your best because we will have a best dressed contest along with live jazz music all night long. We will also be featuring performances by some of the finest drag entertainers around with special guest Miss National 2002 Martina Diamante. The party starts at 8pm. Check out our Facebook for details. Purchase your tickets today at our website!